Flowbee Haircutting System Money-saver for the entire family ! Over a million satisfied customers have used it for years. Provides a precise haircut every time. 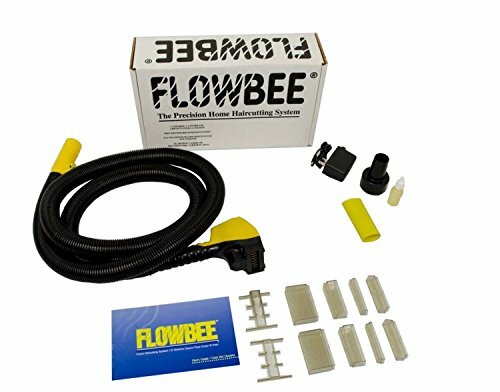 Flowbee System attaches to a vacuum cleaner (not included, needs to be 3 hp or 8 amps to pull hair through the cutting blades.) Can cut as short as 1/2", long as 6". Short layered, wedged, tapered and single-length cuts. Includes: Flowbee head with hose; AC 120V transformer; 10 spacers for desired hair length; Bottle of lubricant; Universal vacuum hose adapter; User's guide, start saving cash on cuts now! Flowbee Haircutting System. Spacer color may vary. If you have any questions about this product by FLOWBEE, contact us by completing and submitting the form below. If you are looking for a specif part number, please include it with your message.